Size 8 Morilee bridesmaid dress. 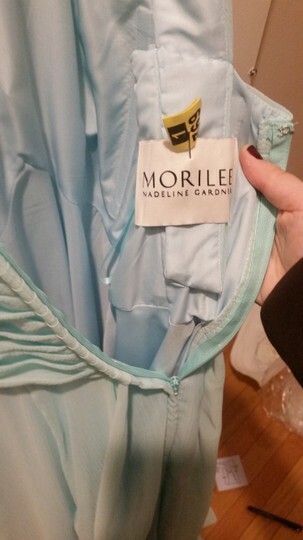 The dress color is called "mint" but it's much more blue than green. 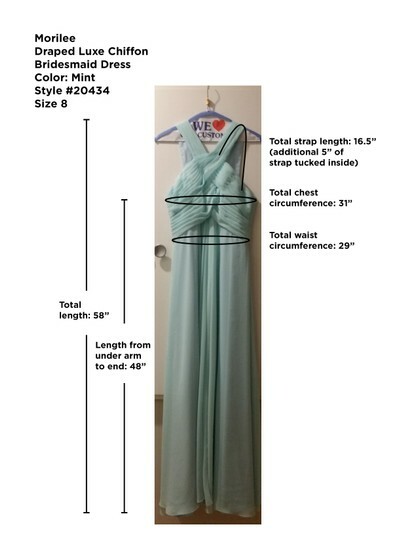 I have included a .jpg with measurements listed but please contact me if you need more. 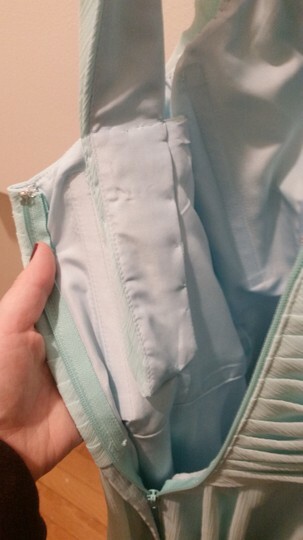 The straps were shortened but not cut, so there is an additional 5" of strap tucked into the dress that could be let out. 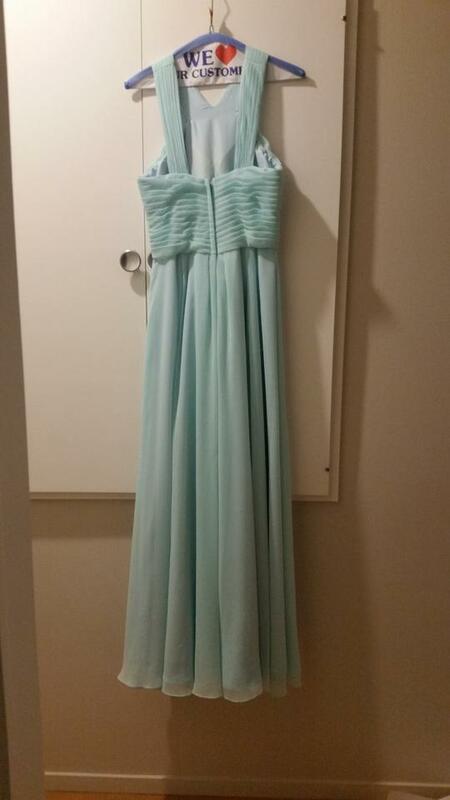 Dress has been shortened and taken in slightly in the chest. 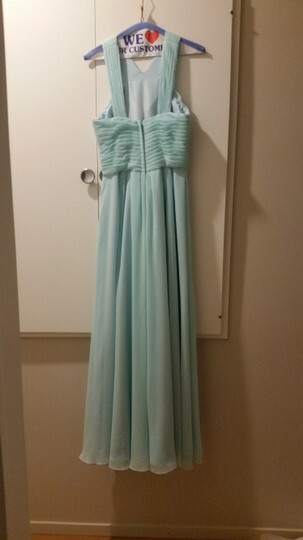 The dress has been dry cleaned since I wore it.